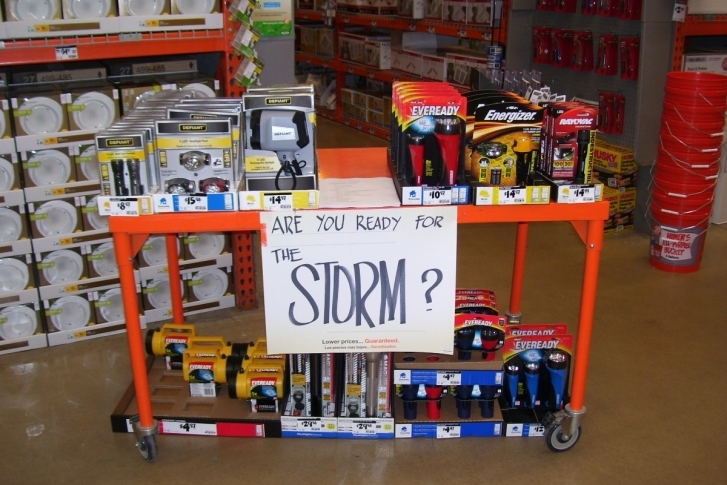 Every home should have an emergency kit on hand for when storms and power outages occur. WASHINGTON — Every home should have an emergency kit on hand for when storms and power outages occur. WTOP recommends you print it out this list ahead foul weather and power outages. Portable radio. If your power goes out, radio will be your lifeline. Preset your radios to 103.5-FM. If you live in Virginia south of the Beltway, you will also want to preset 107.7-FM. And if you live in Frederick, Maryland, preset your radio to 103.9-FM. 103.5-FM works just fine everywhere else. Listen to WTOP on the telephone. Call 202-380-9977. Make sure the account information on file with your electric utility is correct. Have the number to your utility handy, should the power go out. Follow @WTOPTraffic on Twitter for up-to-the-minute traffic conditions. Check local road conditions and traffic cameras at WTOP’s Custom Commute. The Federal Alliance for Safe Homes has a list of tips for what to do in a tornado and how to handle flooding conditions.